JACKSONVILLE, FL, Oct. 30, 2018 (GLOBE NEWSWIRE) -- Drone Aviation Holding Corp. (“Drone Aviation”) (OTCQB: DRNE), a manufacturer of tethered drones and lighter-than-air aerostats and SAP National Security Services, Inc. (SAP NS2®), are collaborating on the integration of drone-based video footage into SAP’s on premise and Secure Cloud-based Intelligence, Surveillance and Reconnaissance (ISR) capability portfolio. Combining drone-based video with NS2’s secure “sense making” machine learning functionality will provide analysis capability at the edge, where it is needed most. SAP NS2®provides innovative computing, analytics, and cloud solutions that accelerate the pace of data fusion, analysis and action. Our solutions help leaders better manage the business of the mission from the back office to the battlefield, delivering a critical offset over the adversary. Today at the 7th Annual SAP NS2 Solutions Summit, video captured from a drone utilizing Drone Aviation’s FUSE Tether System and cellular LTE backhaul technology will be used in a special event for attendees. 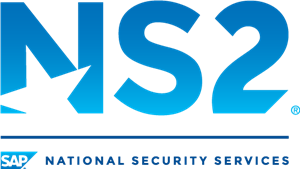 SAP’s NS2 event brings together leaders of national security, government, business, research, media, and nonprofits, to engage and share in a dialogue on the critical issues facing the U.S. national security community. “Our company is excited to have been chosen to work with SAP NS2 and provide a real-world demonstration of the power and impact that persistent drone technology and real-time data analytics can have on security operations,” said Jay Nussbaum, Chairman and CEO of Drone Aviation. SAP NS2®provides innovative computing, analytics, and cloud solutions that accelerate the pace of data fusion, analysis and action. Our solutions help leaders better manage the business of the mission from the back office to the battlefield, delivering a critical offset over the adversary. As an independent subsidiary of SAP, we're backed by game changing technology, staffed by 100% U.S. persons on U.S. soil, dedicated to meeting the unique mission requirements of U.S. national security organizations. Learn more at www.SAPNS2.com.